"Luxe, Calme, et Volupté (compositional study)"
Luxe, Calme et Volupté is an oil painting by Henri Matisse. 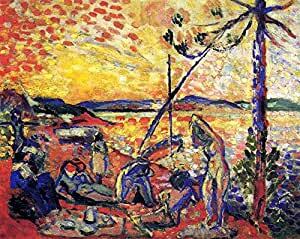 It was painted in 1904, after a summer spent working in St. Tropez on the French Riviera alongside the neo-Impressionist painters Paul Signac and Henri Edmond Cross. 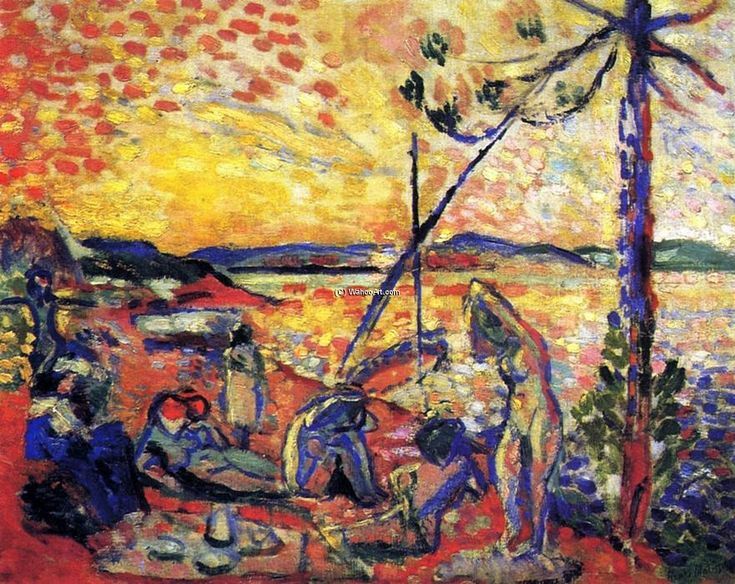 The painting is Matisse's most important work in which he used the Divisionist technique advocated by Signac, which Matisse had first adopted after reading Signac's essay, "D'Eugène Delacroix au Néo-impressionisme" in 1898. Signac purchased the work, which was exhibited in 1905 at the Salon des Indépendants. Matisse subsequently abandoned the Divisionist technique.